Now Bingo Review - £15 No Deposit Bonus upon Registration! When you’re ready to play bingo you want to play it now, so it seems appropriate for there to be a gaming site called Now Bingo. Launched in 2016 through Cozy Games Now Bingo offers the perfect combination of games and bonuses, which is why we at Place a Bet Online had to bring them to you. So let’s begin with the games which on Now Bingo include the usual 90, 80, 75, 50 and 30 ball bingo, plus casino, scratch cards and slots. With access to the hottest slots around such as Santa in Town and Shaman’s Luck, you’ll be eager to get started. If your preference is playing on your desktop, then now may be the time to check out mobile gaming. You can expect the same standard of quality and no download is necessary, it’s just on a smaller screen. Now Bingo is available on iPhone, Android, Windows and Blackberry, but we always recommend that you check on the site first for providers. •	Access to pay by mobile through Neteller. Registering on Now Bingo brings you more than just a great gaming site, because they will give you a £15 no deposit bonus. If you were to add £10 on all three occasions, then you’ll receive an additional £115 from the site; making a grand total of £145. 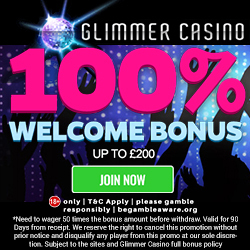 With such incredible welcome bonuses, we’re sure you’ve already decided which of your gaming friends to tell about Now Bingo. But wait, because you could enjoy a little something extra for the referral. For each friend who registers and deposits, you’ll receive a £10 Amazon voucher to use however you wish. Every time you deposit more credit onto the site, they will give you a cash match bonus. The amount you’ll receive is dependent upon the credit added, but it could be up to 100% casino cash. By wagering on Now Bingo you’re not only enjoying the thrill of the reels or daub, you’re also earning loyalty points. There are four levels to the loyalty scheme which include Silver, Gold, VIP and SVIP, with each offering bigger and better rewards. The more points you accrue the higher the level you’ll find yourself on and of course the more treats you’ll receive. For many the joy of playing bingo online is meeting other roomies and that’s why Now Bingo have introduced their chat rooms. These rooms offer plenty of fun games, plus you’ll find friendly chat hosts who will help explain the rules and answer any questions. If you keep up on the latest news and gossip via social media, then make sure you follow Now Bingo on their Twitter and Facebook pages. 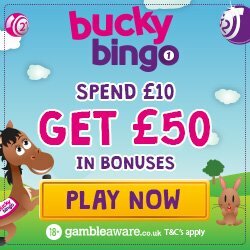 It’s not just the game launches and promotions news you’ve got to look forward to, because for joining them (Live Bingo Network) on either page they’ll give you 50 bingo cards (terms and conditions apply). Now Bingo offers an extensive FAQ section which will hopefully help you deal with any issues. But should you need further assistance then you can contact a representative via email, telephone, through live chat or by raising a ticket. They are available 24 hours a day, 7 days a week and aim to respond within a reasonable time scale. Now Bingo accept the usual banking methods including Credit and Debit Cards, Paysafe Card, Skrill and Neteller. You may not know this, but Neteller also accept mobile billing through Boku. This basically means that you can charge gaming credit to your mobile phone bill and pay it off at a later date. No bank details are exchanged with the gaming site, you only provide your eleven digit mobile number and verify acceptance of the banking method. When the phone bill comes through you’ll then see all the charges listed and you simply pay it off. Boku tend to cap the amount you can credit per day, but this will increase over time. 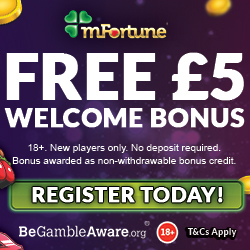 So if you’re ready to play Now Bingo immediately, then head over to register and claim that wonderful £15 no deposit bonus.